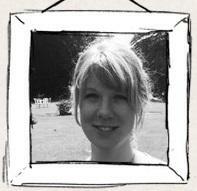 Back in 2008, Emma Coles aunched Ji Ji Kiki, a then-small website selling vintage and handmade jewellery. Fast forward to 2013 and after many, many hours each month of searching around the internet to find bloggers to work with and new places to advertise, Emma just thought there had to be an easier way for both the bloggers and the businesses wanting to work with the publishers to be connected - and so the seeds ofher startup Adlet were sown. Having just launched Adlet to the general publishing and advertising public, we reckon that any idea that makes it simplier for publishers and bloggers to make connections with decent and relevant advertisers, (and money as well!) is a startup worth looking at. What is Adlet what does it do? Adlet is an online advertising platform for bloggers and small businesses. We’re not an ad network; advertisers decide where they want their ads to be displayed and bloggers can chose to reject ads that don’t fit in with their views or ethics. ?It puts the blogger and advertiser back in control, while also being super easy to use. We will shortly be launching a marketplace, or directory, of all of our bloggers which will enable brands and businesses find exciting new places to advertise, and bloggers to work with, to bring their products in front of a relevant audience. For the last five years I've run an e-commerce store, Ji Ji Kiki (http://www.jijikiki.com), which sells jewellery, clothing and accessories. I work very closely with bloggers, both with advertising and product reviews in outfit posts and know how powerful they can be as influencers. The current ways to advertise online are time consuming and complicated and if you use a network to advertise on blogs you are limited in your control of where your ads are shown. Who do you consider to be your competition, and what differentiates Adlet from them? There is currently two main ways for bloggers to accept advertising on their blogs. The first is to self manage the process, which while it offers the blogger complete control, is time consuming and can result in lost revenue through missed emails or unsent invoices. The second option is to use an ad network, which takes the control out of the bloggers' hands-they can choose to have ads displayed, but not have control over exactly what ads are shown so run the risk of hosting adverts which readers find irrelevant or that could cause distress or offence. We make it easy to accept advertising as all you need to do it install some code on your site to display your Ad Shop and your ads and when an ad has been purchased, you click on the approve button it starts to display immediately and then is automatically removed when the run time is up. Bloggers have complete control over what ads are shown and advertisers can choose where to purchase so they know their ads are being shown to a relevant audience. You just launched your public beta. Why was this the right time to do this? I'd set out an MVP when we first started and we'd reached that point. Getting feedback from our users is really important so that we can build in the features and functionality they want, not what we think they want, so getting people onto the system as soon as possible was crucial. I have so many ideas that I want to integrate into the system, including different ad offerings, more customisation on the ad shop and a more advanced checkout process. We are based in the UK, but are hoping to roll out across the rest of the world by the end of the year, with multiple currencies so bloggers can sell advertising space in their own currency. Building up a relationship with the people you work with is so important. This is why we've made sure all of our bloggers can include their social media links on their profiles in Adlet-we want the brands they work with to be able to contact them easily and build up a rapport as both parties will benefit. The blogger will be more willing to go out of their way to promote the brand and in turn the advertiser is then more likely to keep working with them in the future. Go for it, it will be the best and bravest thing you'll do! Don't expect it to be easy though. Its not and never will be a 9-5 job, you'll be working until 2am and then starting again and 7am, but it will never be dull. Your friends and family won't understand how hard it can be, there is such a great amount of support out there and it is incredibly rewarding. Congrats again Emma and we wish you all the best going forward!